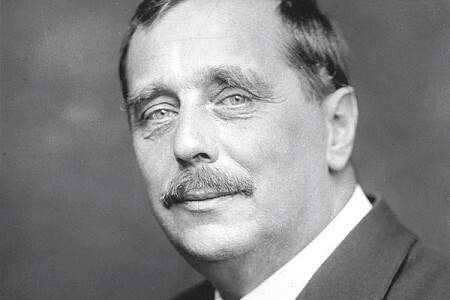 H. G. Wells, A Short History of the World, 1943. Wells first studied biology under Thomas H. Huxley, the leading Darwinian of Victorian times, and came to see the ethical principles underlying humanity’s social systems as being rooted in the evolutionary process and therefore having the potential for onward development. Just as there was one major factor in biological progress − natural selection − so in social progress, there was one major factor − the quality of enlightened thought. Wells was critical of democracy as being too slow and always tending toward the middle of the road on important issues. In 1928, he tried to alert to new dangers and possibilities by proposing an “open conspiracy” − an elite group of pioneer world citizens who would organize to move humanity forward[iii]. The Open Conspiracy was his organizing manual for the diverse constituencies of globally-minded citizens to bring sanity to the organizing of human affairs. Some progress has been made in the identification of endangered species, and a variety of international conventions have at least slowed the despoliation of an amount of our natural heritage. Yet the ongoing destruction of forests, over-exploitation of the oceans as well as other signs of the environmental crisis are constant reminders of how much distance is left to travel. Wells was harshly critical of Marxist theory and of the Communist rule of Stalin in the USSR. Thus he contrasts his “open conspiracy” with the closed conspiracies and vanguard approach of Lenin whom he had met in 1920. He was also highly opposed to Fascism and its closed conspiracies. The “open conspiracy” is a project for every manner of person once an individual has developed a ‘world consciousness’, though Wells was himself very Eurocentric in his world outlook. He summed up his views as a race between education for world citizenship and catastrophe − a task or bold and creative minds. [iii] The Open Conspiracy was first published in 1928 and slightly revised published in 1933. The 1933 edition is republished much more recently with a strong introduction and notes in W. Warren Wagar. The Open Conspiracy/H.G. Wells on World Revolution (Westport, CT: Praeger Publishers, 151pp. ).